Too often, Steven Stamkos appears to live in the past tense. Too often, fans talk of him, and shake their heads, and talk about the skills he has lost because of his injuries. Too often, Stamkos is an afterthought when the discussion turns to the great players having great moments. Then a night like Monday comes along, and Stamkos reminds the world that he isn't finished yet. 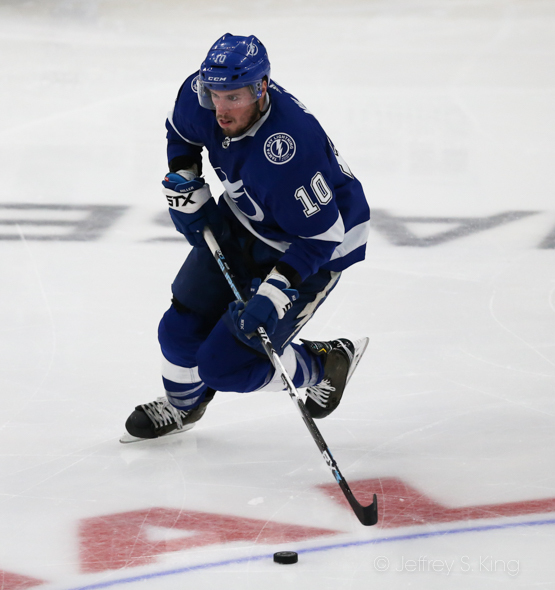 Stamkos scored a hat trick to lead to the Bolts to a 6-3 victory over the New York Rangers, the team's seventh straight win and 10th in their last 11 games. Stamkos broke the 700-point barrier (363 goals) for his career in 696 games. It was the ninth hat trick of his career, a Lightning record, but it was his first in four years. ""He scores them all different ways in that area," Cooper said. "He's just got a knack of putting his body in ... because every pass isn't the perfect pass to him there. And when it's not in your wheelhouse, how can you adjust to it? And he's perfected a way to adjust himself to taking those shots. They were good ones and timely ones." Stamkos has been on a tear lately. He has seven goals in his last six games. 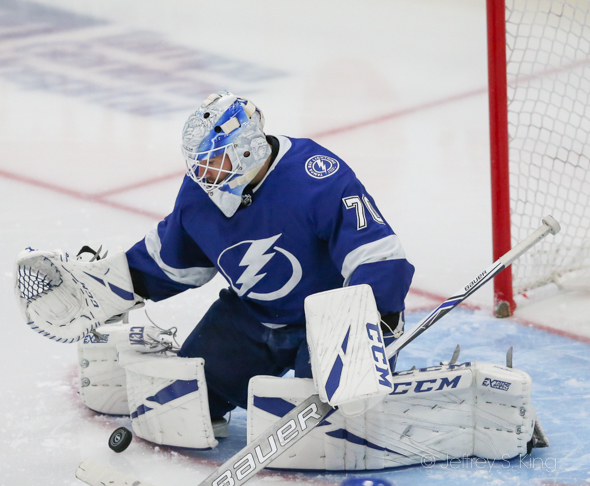 The Lightning started off sluggishly, falling behind 1-0 and 2-1. But then the offense exploded. The offense has 37 goals in its last seven games and has scored five goals or more six times. "We've been able to exploit some lanes," Stamkos said. "Obviously, when you have Kuch on that side and Pointer in the hole there's a lot of respect on the ice from the opponents (on the power play). Someone’s going to be open. I've been fortunate to be able to get some good looks especially from Heddy the last couple games where he's put it in my wheelhouse. It's nice to see those go in. Next game they're going to be keying on me and maybe someone else will be open." 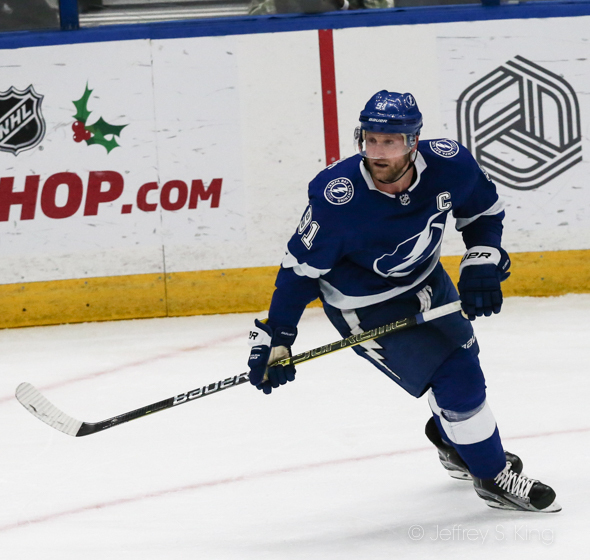 Stamkos' offense wasn't all the Bolts had Monday night. 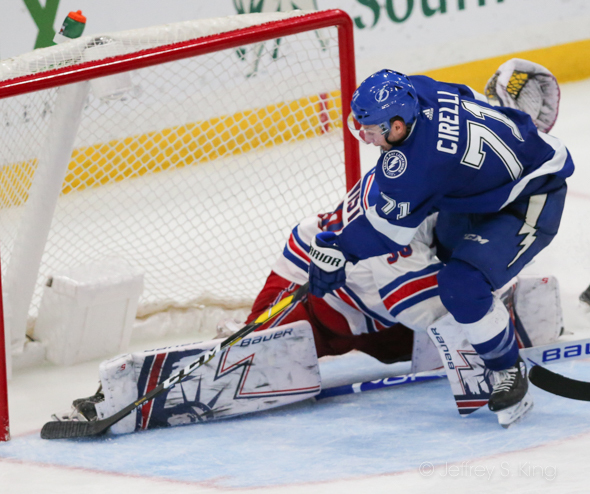 Anthony Cirelli also scored two goals and J.T. Miller, Brayden Point and Hedman all had two assists. 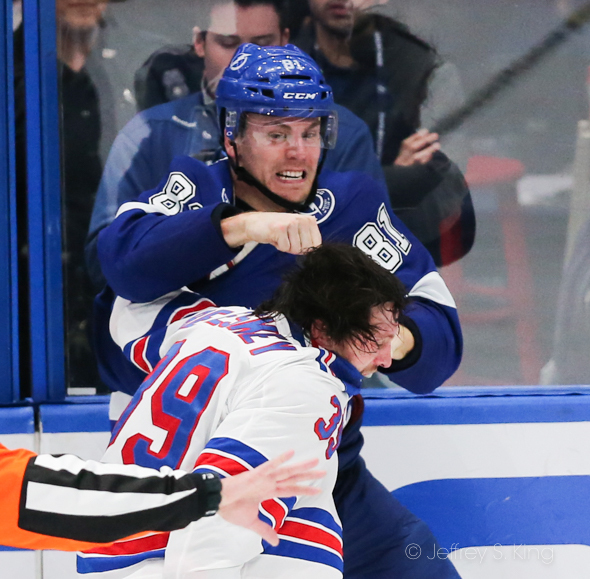 Cooper was especially pleased with Cirelli. The Lightning has certainly been impressive during their streak. “We've had to win in different fashions, come backs, big leads, obviously tlhe special team's game a little bit tonight with the power play getting a couple early goals and kind of getting our confidence back," said Ryan McDonagh, who also had a goal. "They were kind of all over us the first part of that first period, so that was a great sign that we can win in different fashions here. Nothing kind of seems to phase us. We try to stick to our same game plan no matter what the score is of the game." Goaltender Louis Domingue ran his record to 14-4 by stopping 23 of 26 shots. The Bolts play against second-place Toronto Thursday night at Amalie Arena. The puck is scheduled to drop at 7:30 p.m.